I have played rugby for 6 and a half years. I was a founding member and have played for the NGCSU mens club team for 6 years. I have played Prop, Hook, Flank, 8-Man, Inside and Outside Center. I have most of my experience at Hook. 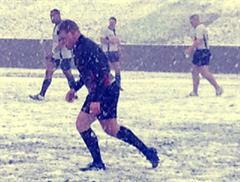 I played on the GRU 7's during the summer of 2011.